What is heritage significance. Is the Sydney Opera House significant? Is this keyboard from which I type the blog significant? Is the clay pigeon on my shelf a significant item or is the real pigeon sitting outside on the window sill significant? Am I significant? Are the people in my office significant? Are we as a group representative of something? Are we rare? Are we an endangered species? Fig 1. – glazed clay pigeon/ duck. How does one determine heritage significance? Surely, like beauty, it is in the eye of the beholder. What is significant to me may not be significant to you. We are different people. We have different backgrounds. Our biases and predilections are based on our different life experiences, our sense of awareness, our knowledge and moods. Therefore, how can there ever be an agreed set of principles governing the determination of heritage significance? Can one really be objective about this or are we kidding ourselves? Each one of these is filtered through 2 further criteria, namely ‘representativeness’ and ‘rarity’. 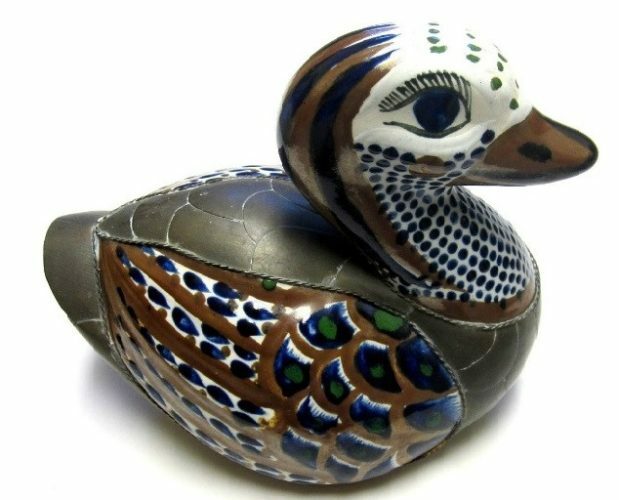 Let’s test how significant the clay pigeon/ duck depicted in Fig. 1 above might be by assessing it against each one of the above criteria. Associationally, the pigeon may not yet be significant but who knows? In time the potter could be famous for his/ her style, glazing technique, artful approach or manner of depiction. We do not know this yet. Aesthetically, I judge the piece as being rather beautiful – it has good qualities; it is made well; it is expressive and evocative and clearly represents bird-like features. Technically, the item makes good use of clay, glazes and patterns and therefore as a work of art, it wholly embodies the material (clay) out of which it is made. Socially, one could say that the piece represents the zeitgeist because it is an object of our time which is shared socially across a range of communities, art aficionados people in the industry (art production). The item is representative of pottery as an art form but may not be rare yet. Perhaps within 1,000 years it may be considered very rare if it survives. Thus, according to my reasonably objective assessment, the item achieves at least 3 of the criteria which renders the object significant under the NSW system of assessing heritage significance. Have I left anything out? Have I been truly objective? Should we be safeguarding the object/ item as a potential bit of our local/ state or perhaps national heritage significance? The answer to this question is open to debate. However, in this blog I have attempted to show that all assessments are mired in personal likes and dislikes and therefore cannot be truly objective. In the end, every object no matter how common - has the potential to be significant depending on which angle you take or how keen you are to protect a thing of value.